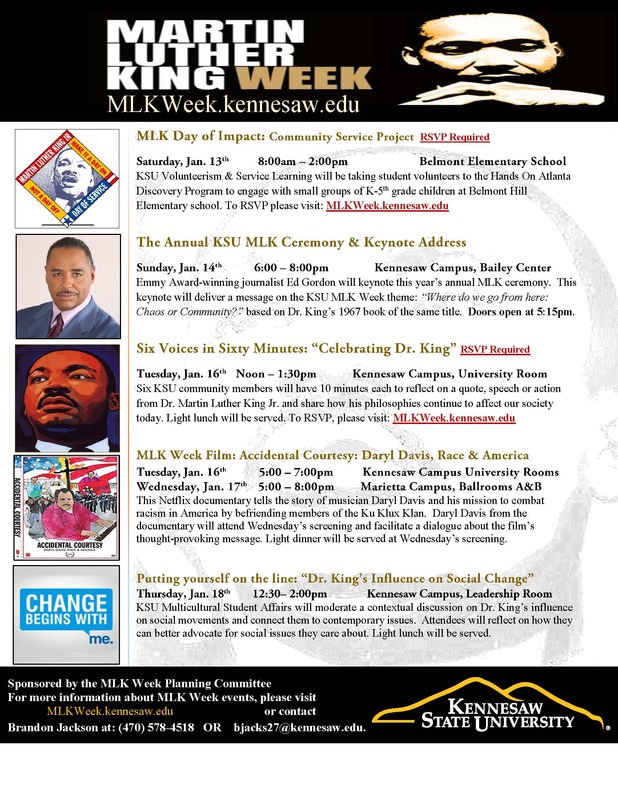 Join us as we celebrate the life and legacy of Dr. Martin Luther King Jr., Saturday, January 13th through Thursday, January 18th. 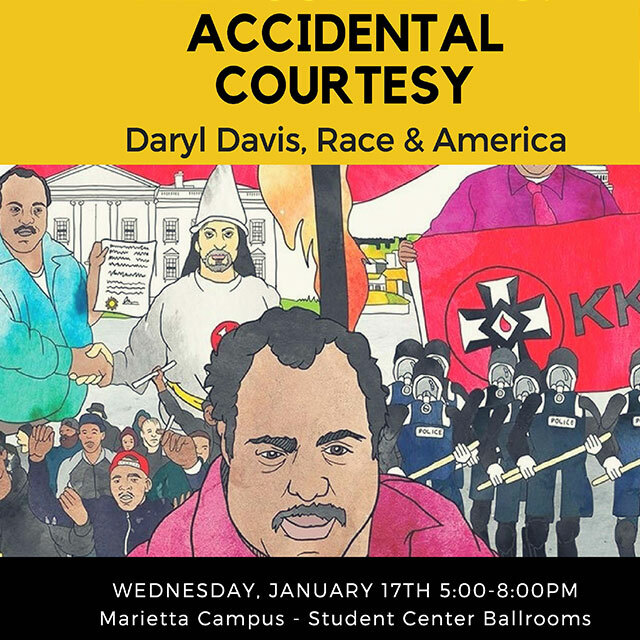 This year's theme: "Where do we go from here: Chaos or Community?" 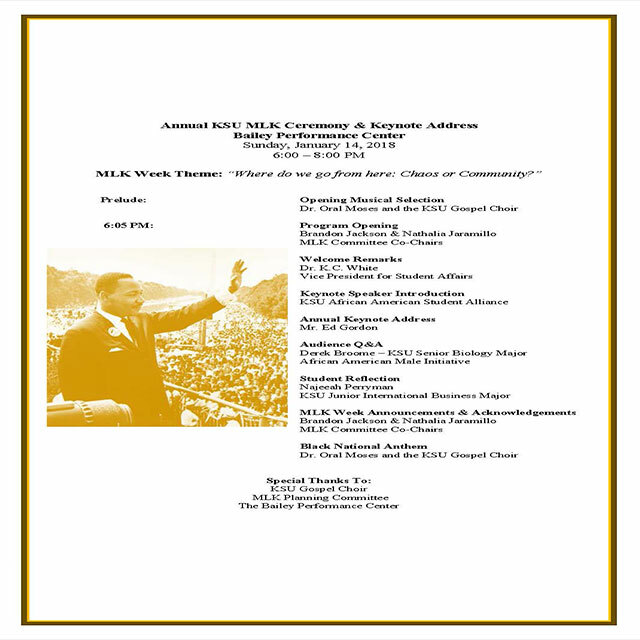 is inspired from Dr. King's 1967 book of the same title. 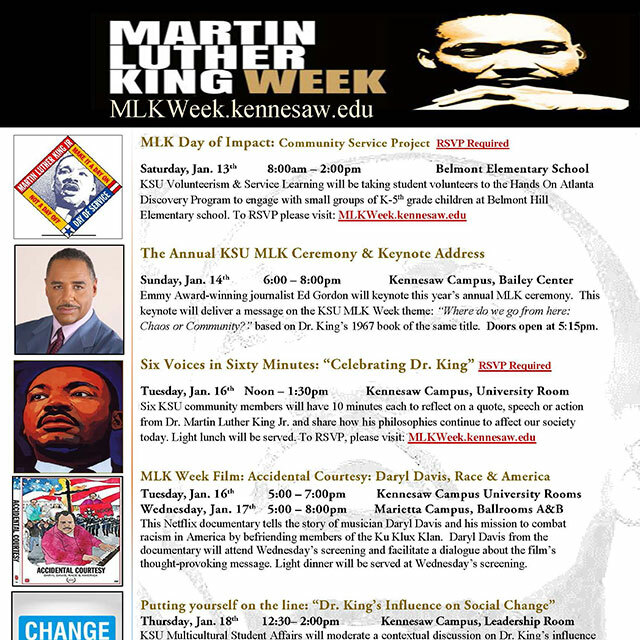 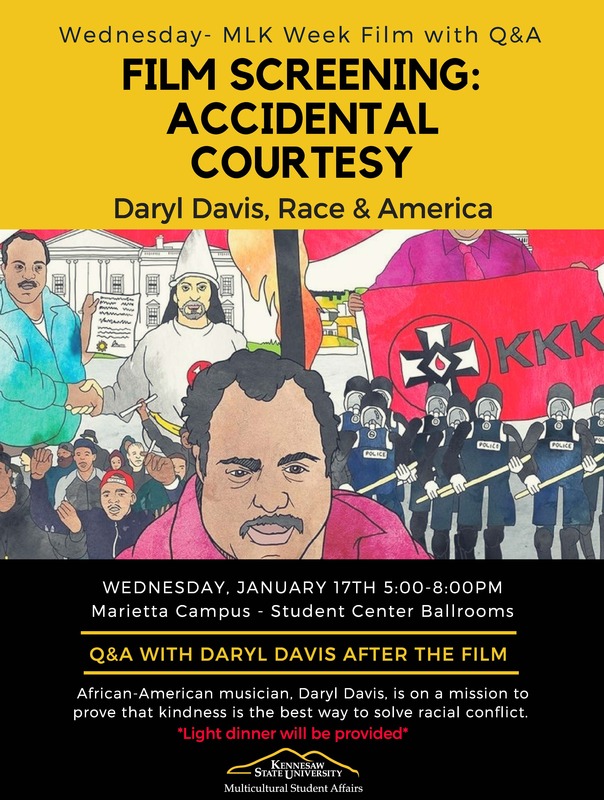 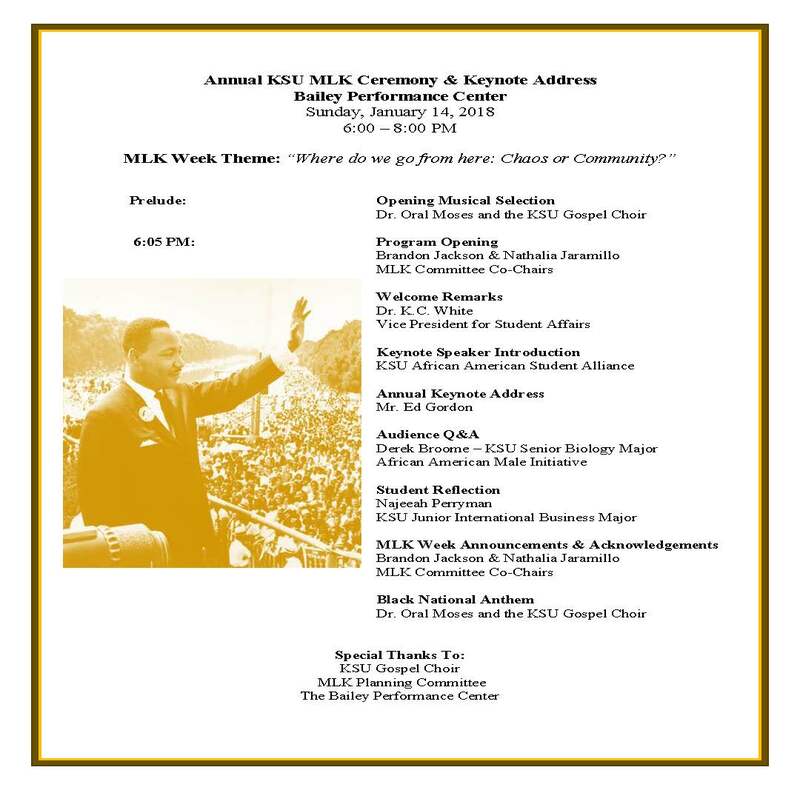 For more information see the flyers below or visit mlkweek.kennesaw.edu.